Unlocking personalization starts by turning anonymous customers into unique memberships in the Hatch platform. A membership is the term Hatch uses to describe an individual person participating in a loyalty program. 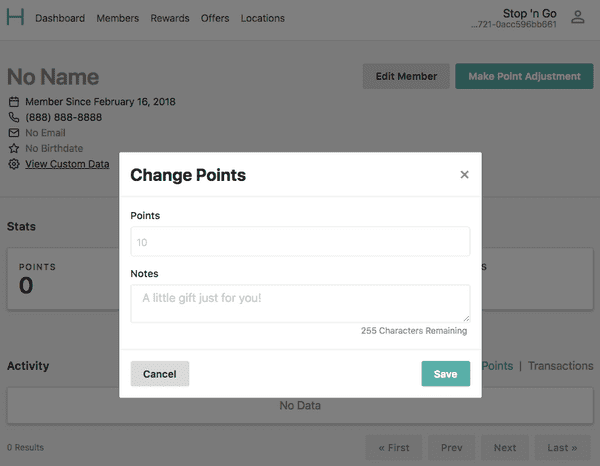 There are a few different ways to create memberships in the Hatch platform, however, most of our customers choose to enroll new members by leveraging our API's in their mobile apps and POS flows. If you're interested in a more detailed explanation of how to manage memberships via API, please visit the Hatch Developer Hub. 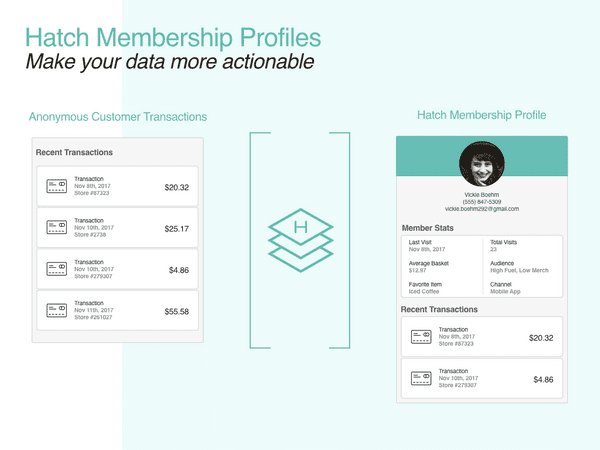 Once someone becomes a member, the Hatch platform can begin associating their behavior to relevant data such as transactions, points earned, offers fulfilled, rewards redeemed, and more. All of this information is used to create robust profiles for each member in the program, which is then made available through Hatch HQ, our program management product. Why did this member earn 100 points? Which customer support user added 200 points to an account and why? What line items were included in a specific transaction? Why didn't I receive points for this product? We believe that real time access to member specific data is a key component of any successful loyalty and customer engagement program. 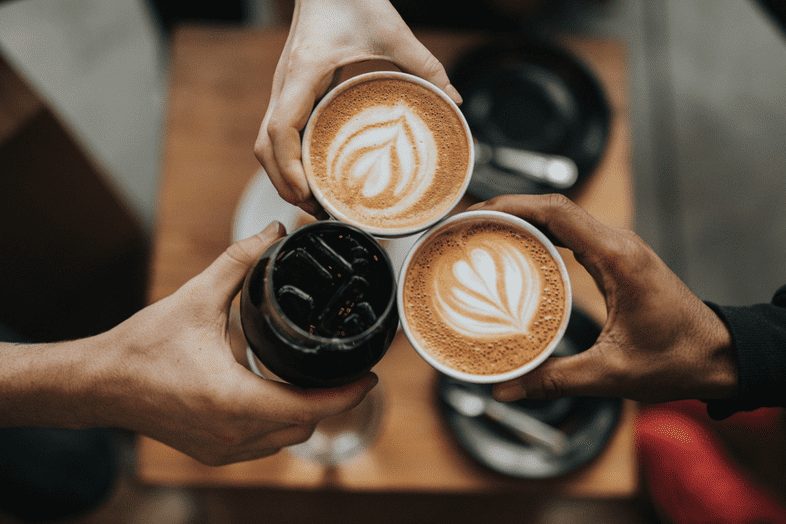 Over time, this data will lead to more informed marketing strategies because you'll know exactly which types of offers and rewards will drive engagement for each specific member in your program. Ultimately, our goal with the membership profile manager is to provide a way for our customers to understand how each individual membership is engaging with their program, so they can craft smarter, more personalized loyalty and customer engagement programs. We understand that sometimes things don't go as expected. For example, let's say a member signed up using the wrong email address. 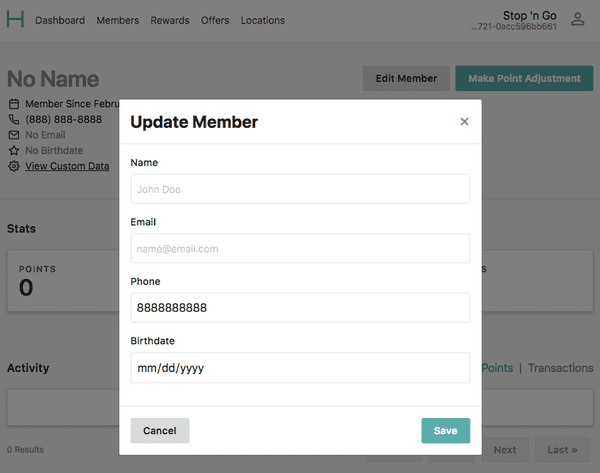 You can log into HQ and easily update the details of any membership in the program. Here's another example. Let's say one of your Members had a poor experience at one of your locations. Simply log into HQ and add some points to the members profile to prevent further damage. There's nothing worse than an upset customer. While Hatch is not designed replace your customer support tool, we do want to make sure you have a basic set of tools to help manage customer expectations, understand how members are engaging with the program, and triage common support related issues.